If you'd like to get in touch with us, please contact us. We are currently focused on services related to the open source Orchard content management framework. We create web applications with it and provide advisory related to it as well as we teach others how to deal with it. Orchard runs on Microsoft's web infrastructure and is actively developed by a community - including us. Why do we do what we do? The Lombiq manifesto. We believe in open source. We embrace the idea of open source, open knowledge, free thinking, cooperation and honest contribution towards common goals. We support the development community. We believe that development is and must be community-driven. We solve problems. We don’t just develop software and technological solutions—these are only tools--we aim to efficiently deliver creative and effective answers to real-life issues. We love technology. Passion drives us forward to constantly enhance our skills and explore new areas of knowledge. This is how we can remain innovative. We give back. Being selfish hurts everyone. We support our communities and give back to our environment. 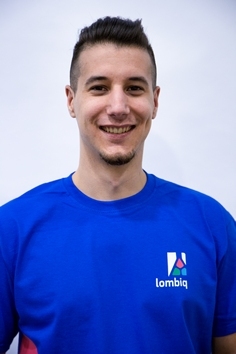 Lombiq Technologies was founded in 2013 by Benedek Farkas and Zoltán Lehóczky. We’re an IT company based in Budapest, Hungary that provides products, services and custom training to the development community. We love technology in general, but we mostly work with the Orchard platform, a content management system that runs on the Microsoft web stack. We’re also the people behind the first (and only) Orchard CMS SaaS - DotNest. Zoltán and Benedek first met on the university where they learned Computer Science. 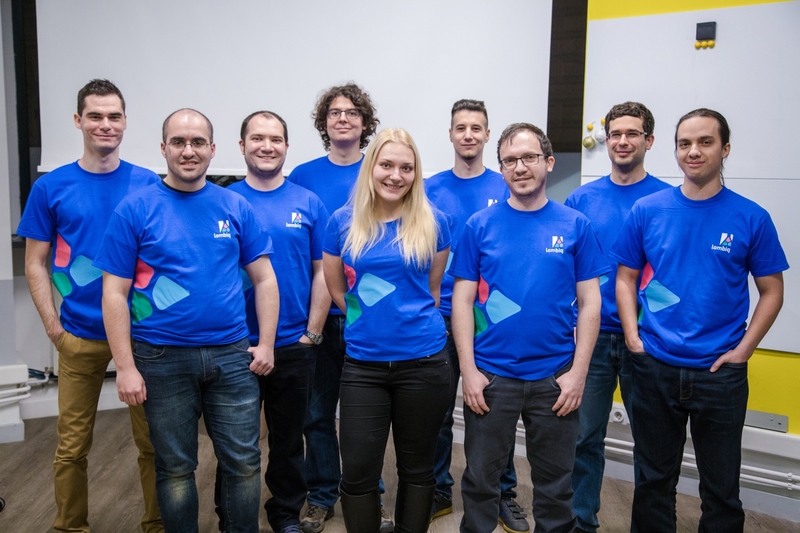 Besides learning together on the uni they also took part on programming competitions - lastly winning the 24-hour programming contest of Óbuda University in 2012 with their third friend Tamás Szecskó. In the fall of 2011 we founded Orchard Hungary, the Hungarian Orchard community. The name Lombiq comes from the Hungarian word "lombik" by the way: it means lab flask. We thought it's an adequate metaphor for what we do: distilling (IT) solutions. Loving technology ever since Zoltán learned Computer Science and Engineering at Óbuda University in Budapest, Hungary. Web application development is his key skill, having been involved with PHP then ASP.NET MVC for years. He embraces open source and lives it through Orchard: he's also one of the core developers of Orchard itself, having done numerous contributions and having opened more than 300 tickets in the Orchard issue tracker. Zoltán also released dozens of open source Orchard modules which you can see under his Codeplex profile (he goes by the name Piedone on Codeplex). He had the privilege to present on the first Orchard conference about Orchard SEO and on the second one about localization. His interest in artificial intelligence, knowledge representation and machine learning lead him to the development of the Associativy graph platform: an Orchard graph platform that you can use to build graphs of content for discovering associations between them. The Orchard Dojo Graph runs on Associativy too. 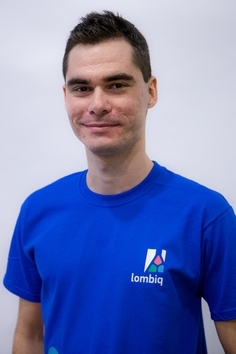 Before co-founding Lombiq Zoltán worked as an Orchard consultant at Onestop Internet, being part of the team developing the company's Orchard-based e-commerce platform. For Zoltán's whole professional profile please see his LinkedIn profile. Besides doing management tasks Zoltán mostly works on our own sites, services and research projects. Benedek considers the first Orchard conference (Orchard Harvest 2012 in Los Angeles) one of the great events of his life, where he got the chance to be one of the presenters (see the video). 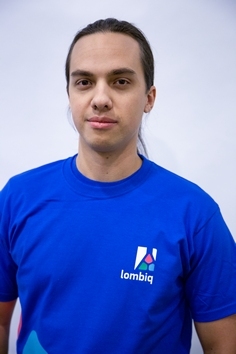 But most importantly, the founding of Lombiq is a big opportunity and motivation for him. When not fiddling around with Orchard (for which he also is a core developer of), he likes to go cycling, reading fantasy books, watching movies and reading interesting articles about science and IT. You can contact Benedek via these channels: CodePlex, LinkedIn, Twitter, Facebook. Along with working on daily management tasks, Benedek manages and takes part in the development of Orchard projects for our customers. Programming appeared as a hobby for Márk at the age of 12. He had already devoted his time for coding since secondary school, where he attended various IT courses and competitions. He had his first taste of .NET development at Óbuda University in Budapest. He got his first jobs in the field of industrial automation during his third semester. Since then, he has taken part in several .NET based projects in WPF and WinForms. He also gained a considerable amount of experience with the development of business applications using DevExpress XAF. Eventually he met Zoltán, who got him into developing Orchard CMS. 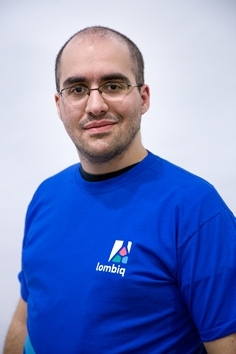 He saw great potential in it, which led him to become a proud member of the Lombiq team. During his free time, Márk likes participating in floorball trainings in the dormitory of his university. Check his profile on LinkedIn or Facebook. 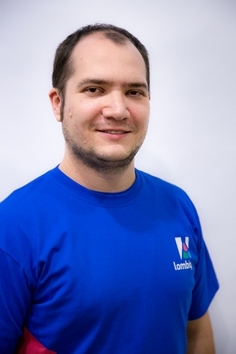 Márk is a rather server-side guy who mostly works on our Orchard projects writing clean C#. Gábor showed interest in IT since elementary school where he first met computers. He started to learn the Turbo Pascal language at the age of 12, when he decided to be a software engineer. He installed his first CMS-based website at the age of 15, which was an earlier Joomla version. In highschool he attended various IT courses and competitions, where he started to learn the Visual Basic programming language. Just for fun, he decided to make a Hungarian dub for the famous Doom 3 and Doom 3 Resurrection of Evil PC games. In 2009, he became a Computer Science and Engineering student at Óbuda University in Budapest, where he learned about C#. He met Orchard for the first time at an online course by György Balássy where he learned the basics of Webmatrix and Orchard. He had a summer internship at Microsoft Magyarország Kft. in 2012, where he learned creating Windows 8 modern applications. He has references at Windows Store and also created Windows Phone 8 based applications as well. He started to write his thesis in 2013, where he learned the basics of Microsoft Azure and multiplatform environment development. 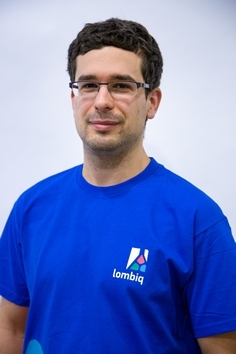 In the summer of 2014 he got an e-mail from Zoltán about an opportunity in the recently founded Lombiq. He really liked the concept and accepted the opportunity to join the team. Be sure to check his profile on LinkedIn and Facebook. When Milán was younger, he was absolutely fascinated by computers & games and later he came to learn more about hardware and how computers work. This confirmed his belief that he found his profession. He finished High School in a special class for students who are interested in computer programming where he had chances to learn Pascal programming language and web development. In 2009, he became an Information Technology Engineering student at Óbuda University in Budapest. At the university, he learnt about the C# language, OOP and got experience in different areas of information technology like ethical hacking and mobile application development. At his first workplace he worked in the field of finance using SQL for business logic and WinForms with C#. His specialization at the university was image processing and robotics. He learned a lot about the controlling of robots and various image processing algorithms. During his free time, he goes to the gym or running in the beautiful city of Budapest. 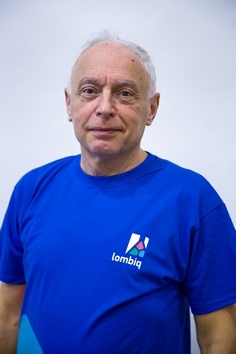 Owing more decades of experience in various fields and levels of economy István might serve Lombiq as a day-to-day contributor to solving tensions among people and generations. He had made it as a rule that in any of the industries the best results originate from permanently facing the facts, tasks and quick reactions to appearing failures. Critics are not enemies, and you are attacked much less times than you think. He graduated as Master of Sciences in Civil Engineering at the Technical University and Engineer/Economist in Foreign Trade at the University of Economics in Budapest. He was later active as sales-engineer of Hungarian construction companies and representative of one of them in Germany. The nineties brought important changes also to Istvan’s carrier: he had become a banker in Austrian and German banks’ branches in Budapest, later managing director of Israeli real-estate development and a Russian-Hungarian trading companies. All these responsibilities have added to his professional knowledge that is held at Lombiq’s disposal now. Privately Istvan likes reading novels not only in Hungarian, but also in German and English, is interested in history and politics, likes swimming and skiing. Álmos was introduced to programming in high school where he first learned about the Pascal language. He became so fond of math and computers that he later chose to study Computer Science at the University of Szeged. He was mostly interested in machine learning and data science. He also got to learn about the F# language which fascinated him, and awakened his curiosity about the .NET world. Because of that he later chose to attend an Orchard course taught by Zoltán and Benedek at the university. After the course and an interview they offered him the opportunity to join the team, and he was happy to take it. His beloved hobby is beekeeping, he is currently taking care of 15 honey bee colonies in his free time. At the university he specialized in embedded and mobile systems but also took up a variety of topics including the Orchard course taught by Zoltán and Benedek. He is working on his thesis in surgical robotics. In his free time Dávid likes to watch movies, walk about while listening to audiobooks, play airsoft, paint miniatures for wargaming, and all manner of tinkering (like making video game mods, hardware mods, Arduino and 3D printing projects).